Makeup is probably not going away. However, neither is the damage it's doing unless you make sure to clean it off each day. Most makeups are meant to last all day and stay on your skin. No one wants their makeup running all over at noon, so that's a good thing. However, that long-lasting quality isn't so good if it stays on 24 hours a day and doesn't allow the skin to do its normal breathing, cell-shedding and oil-producing. 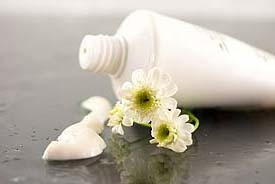 This can clog your pores and cause acne and wrinkles - not to mention it takes away that nice clean glow of healthy skin! When you start removing your makeup, start with your eyes. Make sure that if you wear contacts, you take them out before you put any oily eye-makeup remover on your face. It's a good idea to use whatever products you need to use on your eyes first so that you can make sure to get it off quickly as you clean the rest of your face. Remove your eye makeup gently. Even though it's the most delicate skin on your body, we seem to put the hardest-to-remove makeup on that skin right around the eye, so we usually need to use special products to make sure it comes off easily and completely - products that can make the rest of your skin oily if you use it to clean off the rest of your makeup. Baby oil and mineral oil will take off most makeup, including waterproof mascara. Try using a cotton ball or cotton pad soaked in one of them to take off almost anything, but make sure to follow it up with a thorough soap and warm water wash. You can also use olive oil to loosen mascara, but just put a few drops on your fingertips and rub gently. Be careful not to get any in your eyes, and make sure to wash it off thoroughly. Make sure to wash your hands before you start washing your face. Your hands are more dirty than your face is, and trying to clean out our pores with a bunch of dirt and germs will probably be counter-productive. Yes, you can wash your face with milk if it's dry and relatively clear. It's a good moisturizer and can help to soften your face. However, don't use milk on acne, and make sure that if you do use it, you wash all of it off. No one wants milky residue where their makeup used to be. Make sure to remove your makeup every night, even if you just use makeup-removing wipes or pads before you collapse. Megan is the Web editor for Overstock Drugstore, an online pharmacy that offers great deals and great service on health and beauty products you use every day, including Pond's remover towelettes travel pack. Overstock Drugstore believes in offering the best products and the best service, including a help line that goes to a person every time. To learn more, visit http://www.overstockdrugstore.com.